The Adidas Futurepacer is delivered in subtle grey and white, helped by hits of black and blue trim. 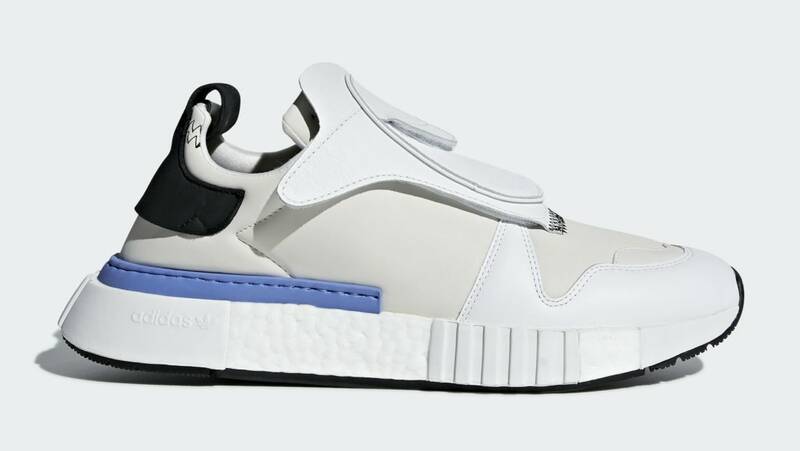 Borrowing elements from 1984's Micropacer and the modern NMD, the shoe features an exaggerated tech panel and Boost cushioning. Release date is July 14, 2018 at a retail price of $180.